For a while now we have been talking about how the American economy is making a strong comeback with the notable improvements in the job market throughout the country. Every month there were reports of more and more increases in permanent jobs in the United States coming from the United States Labor Department. But after all that has gone down in May and after checking the various reports about the economy and the job market, it is looking like the job market took a hit in May. The job growth up to this point has not been astronomical. However, it has been significant and has been a positive aspect of the recovering economy. 200,000 jobs were added for three consecutive months this year so far. The eventual goal is for 300,000 jobs to be added every single month until the economy is fully restored. But now the pace is slowing instead of increasing. 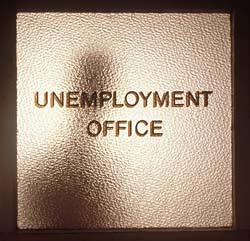 Reports indicate that for the last six months, all government jobs have seen cuts and layoffs take place. Furthermore, conflicts in the Middle East causing oil price jumps and the recent disaster in Joplin, Missouri have both hurt the economy. According to a report from ADP earlier this week, private enterprises have only created 38,000 new jobs this month. Original predictions had job growth at approximately 170,000. Experts are now predicting that the numbers released on Friday will show that not even forty thousand new jobs were made in the month of May. Economists are perplexed and disappointed in the results that they are expecting to be hit with Friday morning. Across the board the reports on job growth have been, to say the least, less than stellar for May. It still must be remembered that this is just one month and the numbers are not official yet and will not be for some time. It is very likely that the reported numbers are lower than what is actually happening. It is also possible that numbers will improve in June and prove May to be an anomaly. The economy has been on its way back up for quite some time now. Was the month of May a minor bump in the road or a sign of a downward spiral to come?